Plan now to head to Detroit (Livonia, MI) Wednesday, May 16, to take in the annual Great Designs in Steel event. 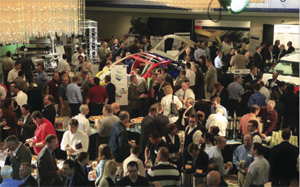 GDIS is the premier forum for uncovering the latest trends and applications in automotive steel, including conference tracks on advanced high-strength alloys, automotive safety and metalforming and tooling technology. Learn more and register to attend at www.autosteel.org.